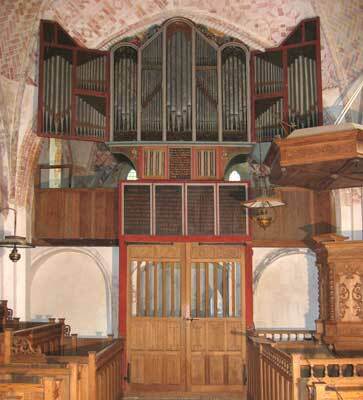 The organ was built in 1531 by an unknown builder. Tuning: nearly a whole tone above normal. 1531/Original Pull-down pedal using cords.